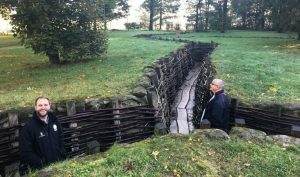 Our World War One battlefield school tours cover the events that took place in the regions of the Ypres Salient (Belgium) and the Somme (France). 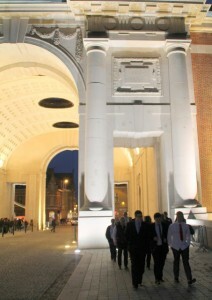 Pupils will walk in the footsteps of the troops and visit the many historical sites and monuments. They will also see evidence left over from the Great War in the form of preserved trenches, mine craters and of course the many cemeteries. The pupils will be accompanied at all times by a battlefield guide who will bring the battlefields to life with explanations of the events that took place, along with true life anecdotes, ensuring that the pupils have an enjoyable and memorable time and above all else, installing in them the true meaning as to why and how we remember the fallen. 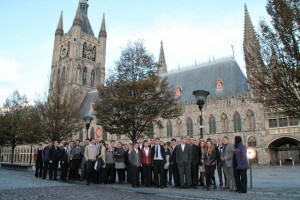 The Ypres Salient is known for the major battles that took place here over a four year period of the Great War. First Ypres saw the end of the battles known as ‘The Race to the Sea’. Second Ypres experienced the first use of Poisonous Gas and Third Ypres, or The Battle of Passchendaele as it is better known, is infamous for the appalling conditions in which the troops fought and the amount of casualties inflicted on both sides. 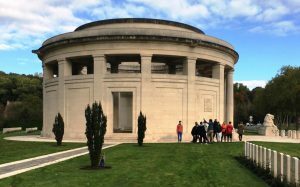 Visits include: Tyne Cot Cemetery, Langemark German Cemetery, Vancouver Corner, Hill 60, Spanbroekmolen Mine Crater Memorial (The Pool of Peace), Plugstreet and the Christmas Truce Site, The Menin Gate including wreath laying at Last Post Ceremony. 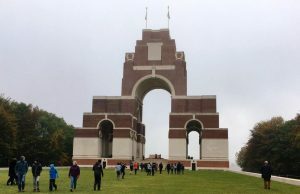 The opening day of the Battle of the Somme records the worst day in British military history with the army suffering almost 55,000 casualties. This battle shows the true horror of war and shows the sacrifices made by thousands of men serving their country. The battle was to last for 148 days with many set piece battles in an attempt to break through the German lines. 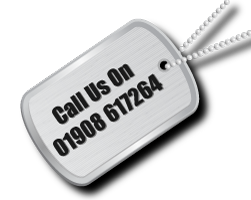 Visits include: Delville Wood, Welsh Dragon Memorial at Mametz Wood, Lochnagar Crater, Newfoundland Park, The Sunken Lane at Beaumont Hamel, Ulster Tower, Thiepval Memorial where a wreath laying ceremony will take place to the missing of the Somme. 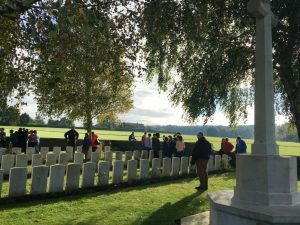 The perfect tour of remembrance combines visits to the battlefields of Ypres and the Somme and gives a sound study of the two battles. Itineraries can be tailored to suit your requirements. You may wish to visit certain memorials or cemeteries or follow the actions of a local regiment. This can all be catered for. Please note that tours conducted between 15 November and 15 February receive a reduced accommodation rate. 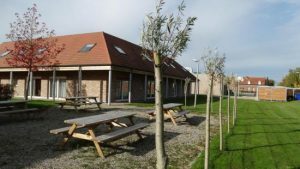 The Peace Village Hostel – Situated in Messines, this is the ideal accommodation for school parties and a superb base from which visit the battlefields of the Western Front. The hostel excels in tranquility, space and offers great facilities. It is capable of accommodating both medium and large sized groups in its 43 studios. Each studio has its own living and sleeping area as well as en-suite facilities. Outdoor facilities include a football, basketball and volleyball pitch. Also available are hockey, ping pong, a large chess game and an extensive range of games. The bar and restaurant have a great terrace overlooking the landscape with over 150 outdoor seats. 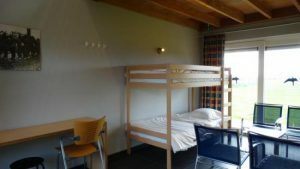 The hostel is surrounded by a large green area, ideal for playing or relaxing with lots of areas for youngsters to hang out. Following a tour for Cheltenham College, the teachers sent Tony two books as a ‘thank you’ – Public Schools and the Great War, The Generation Lost by Anthony Seldon and David Walsh and Six Weeks, the short and gallant life of the British Officer in the First World War by John Lewis-Stempel. We’re pretty sure you know a lot more about Cheltenham College than Anthony Seldon does! Thank you so much for a superb, tailored battlefield tour. I’ve rarely heard the children so loud and genuinely warm in their final farewells. We all enjoyed your company and expertise immensely. Thank you so much Tony for your kindness and expertise. Thanks for all your expert knowledge, I learnt so much.